I wanted to show you all what we are being this year for Halloween, just for fun. We have our beekeeper, two adorable bumblebees, and a beehive. The girls have been buzzing around non-stop with excitement and baby boy is all cozy in his hive. 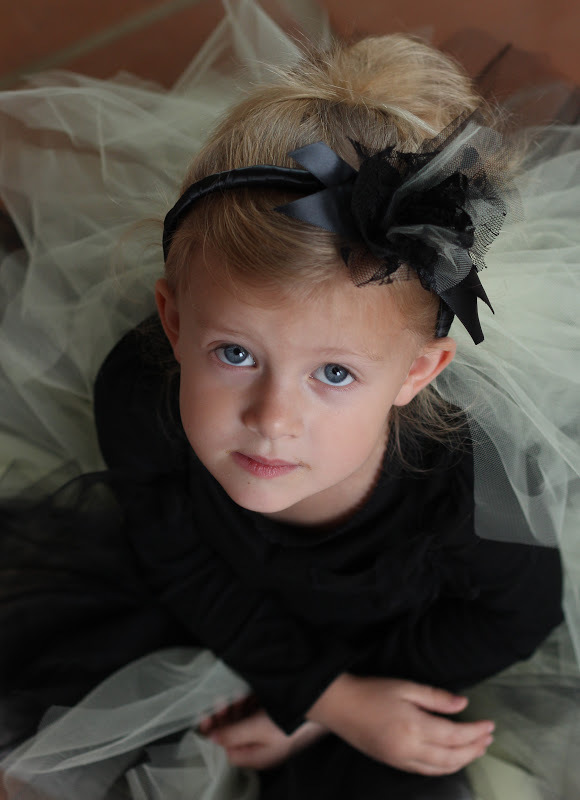 I made the girls' headbands using an old red headband and covering it with black ribbon. You can check out this tutorial if you want to see how I wrapped the headband. Then using scrap fabric, I cut a bunch of small squares and bunched them together at the center to create this crazy cute bow. Hot glue on top and all set! 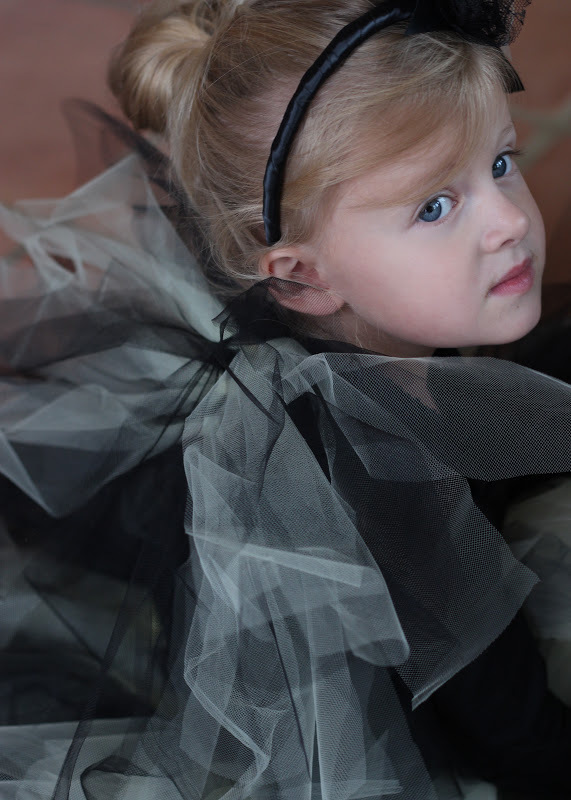 I made their wings and tutus as well, which I have tutorials for. I think this year will be great! So cute!! What an adorable idea!! 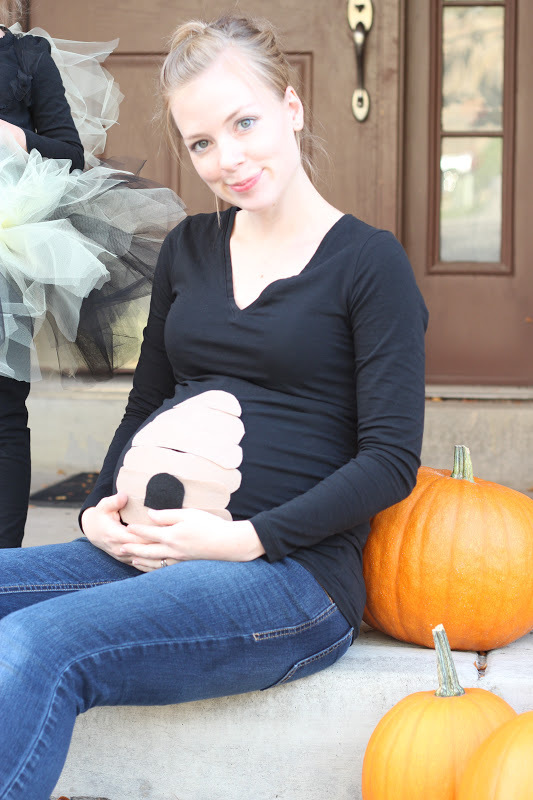 If I'm pregnant next year I might have to do the same thing. I have two girls already also. Congrats, you look great! This is so cute!! And you look amazing, I bet you are so ready to meet your little boy! Very nice family! Lovely Halloween costumes you made! Keep it up :) God bless! 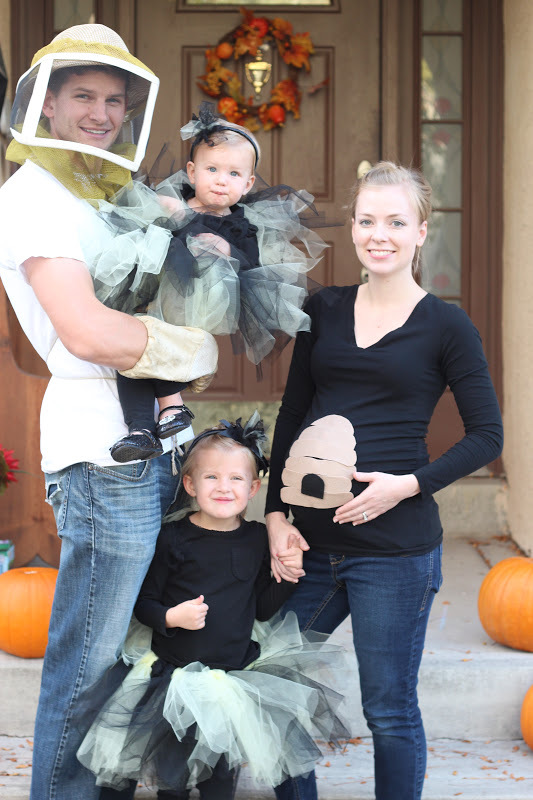 you are so cute in your little behive shirt :) I love the costumes, they are simple yet awesome!